Maybe your sofa or sectional is on its last legs, or perhaps you're just desperate for a change. Before you invest time and money in the "perfect sofa" search, peruse this list of must-ask questions. Now that holiday shopping has started in earnest, we're on a mission. We're like drug-sniffing dogs, an elite pack of bargain hunters who leave no store unturned on hot pursuit of red tags, slash marks, percentage signs and clearance sections. Nothing lifts a neighborhood's communal spirit more than festively-decorated homes. This year, gift your neighbors and guests with a lighting display that energizes spirits and inspires smiles. Let the pros do the dangerous ladder climbing; just relax and take in the (bright) sights. Because sometimes all you need is a good idea. In the entryway of my last home lay what I considered a great aesthetic offence: dramatically cracked and chipped tile flooring. Being clever (and cheap), I covered it with a throw rug - that never stayed put. Like Edgar Allan Poe's Telltale Heart, those marred pieces of porcelain refused to remain silent, loudly announcing their ugliness anew every time a guest strolled through the door. Unless you're considering a "for sale" sign as your newest front-yard decor, you may wonder why "curb appeal" matters to you. Yes, the outside of your home may be the first thing everyone else sees when they check out your digs, but it's also the first thing you see when pulling into your driveway. The exterior of your home sets the tone for how you feel about where you live. If you aren't "going anywhere" any time soon, it's time to fall back in love with your space. Here's how. Summer heat always reminds us we live in a desert and we need water. Experts all agree - your green lawn drinks a lot of it. If conservation is at the top of your list these days (and who wouldn't like lower water bills? ), saving the lawn in this climate can sometimes be just a matter of readjusting, reusing and conserving. Just like any long-term romance, the relationship between you and your home requires a little effort now and then. Banish boredom with accents that are sure to put the "spark" back where it belongs. 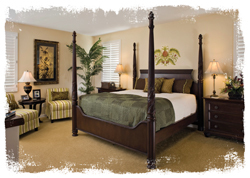 Informative ideas and Feng Shui tips to turn your bedroom into a relaxing retreat. When the temperature starts creeping up, we all know our energy bills will be doing the same. Everyone is trying to save money these days and there is a great way to help keep utility costs down while increasing the value of your home. With a little investment and usually in one day, new windows can lower you energy bills, help keep out unwanted sounds of traffic and noise pollution and eliminate rattles and drafts. New windows also add a quick pick-me-up for older homes, which add value to your biggest investment. 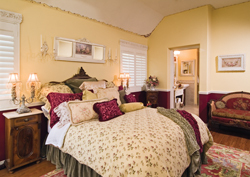 Sometimes, turning a stucco-covered SCV house into a warm, ambience-filled home is easier said than done. Designers agree, though, that one of the most important components in your pursuit to beautify your space are window coverings. Dreaming of a remodel? Ready to take a stairway to heaven? 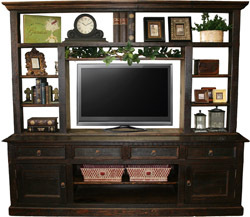 Finally ready to claim custom cabinetry for your very own? We're with you. These home improvements not only enhance your day-to-day living experiences, they can impressively increase the value of your home. These days, it's all about "saving," and the world of flooring is no different. Here are three ways that you can save while still cashing in on style. Thoughtfully and creatively designed, an otherwise "old fashioned" sofa can have an elegant breath of fresh air. This month, we ring in the new ("green" paint with a super-low carbon footprint!) and celebrate the old (two local companies have made multi-decade investments in green technology). A quick look at some do-it-yourself Feng Shui fixes. So, has the housing market finally bottomed out? This is a topic where everyone seems to have a different opinion. The media certainly doesn't help clarify the situation and tends to cause more confusion for home buyers and sellers. Let's take a look at the statistics to get an unbiased, factual point of view about our local Santa Clarita real estate market. Few places need to incorporate design and function better than your home's kitchen and baths. "Pretty to look at" isn't enough in these high-traffic locales. With that in mind, check out these new trends that combine beauty and quality. There are usually two kinds of home improvements: the kind you need to make (think: replacing the pipes) and the kind you want to make (like new furniture). When it comes to getting ready for another long, hot SCV summer, however, you can combine your practical needs with your aesthetic wants. We greenies love how taking good care of the environment is not only becoming more mainstream, but also darn right fashionable. 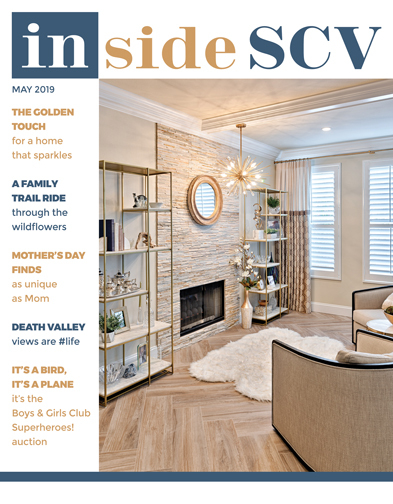 This month, check out gorgeous new means to use recycled glass and one way to avoid dealing with the dismal housing market.